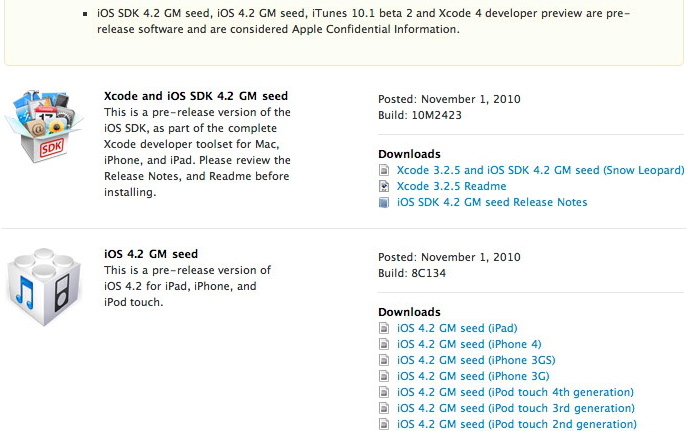 Apple has released the Golden Master (pre-release) seed of the software development kit for iOS 4.2 and iOS 4.2 for the iPad, iPod touch and iPhone. 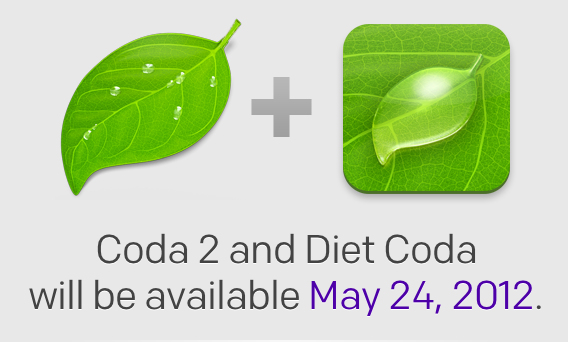 It is available for registered iOS developers. 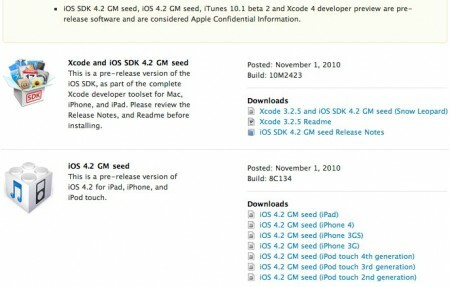 iOS 4.2 will be released for consumers during this month (November 2010).